Tennis Elbow Secrets Revealed Review (2019)- Cure It at Home? Tennis Elbow Secrets Revealed Review – Cure It at Home? 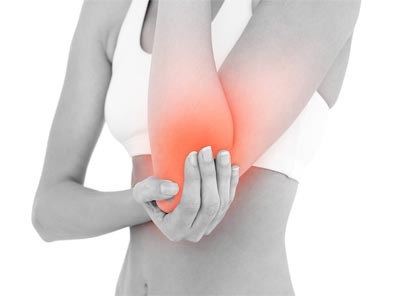 If you’ve ever suffered from tennis elbow, you know that it can be a painful condition that can last for weeks, months, or even years if you don’t have it treated. Treatment is often not very effective, and I can speak about that personally, as I suffered from the condition a few years ago. Geoff Hunt, a personal trainer, says he has the solution to solving the problem yourself. His Tennis Elbow Secrets Revealed book will show you how to treat the condition yourself at home. This can save you money, and time, as well as a lot of discomfort. That sounded interesting, so I thought I’d take a closer look at the book and see if it’s worthwhile. Is Tennis Elbow Secrets Revealed a scam, or is the book the real deal? Click here to visit the Tennis Elbow Secrets Revealed Website. Read on for the full Tennis Elbow Secrets Revealed review. 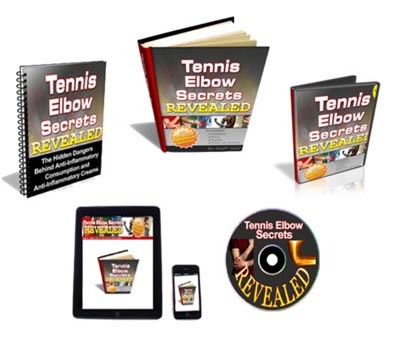 Tennis Elbow Secrets Revealed is sold as a downloadable product, which is primarily an ebook in PDF format. You can download the book at any time of day and you can read it on just about any computer device, including smartphones and tablets. The Tennis Elbow Secrets Revealed bonuses are nice, but not essential. The videos are all relatively short, running about one minute each. Still, they suffice to show you how to correctly perform some of the exercises shown in the book. The exercise journal and interview with a former sufferer may or may not be beneficial, but likely won’t help you cure your tennis elbow. The anti-inflammatory report can be helpful, as people who suffer from tennis elbow are likely to take a lot of those medications, which can be harmful if taken in large quantities. The main Tennis Elbow Secrets Revealed book is rather lengthy at 292 pages, and that can be intimidating until you realize that the bulk of the book is bonus content. The main portion of the Tennis Elbow Secrets Revealed book, which is what you’re paying for, runs about 62 pages, and that’s plenty of time to cover the subject matter, and the book covers it well. Chapter 2 – What is Tennis Elbow? The first part of the Tennis Elbow Secrets Revealed book covers the nature of tennis elbow itself, which, of course, is not necessarily related to tennis. The malady is a repetitive stress injury, and while it’s common in tennis players, it can come from a number of other activities that involve repeated motion with the arm. In my case, it came from the repeated use of a computer mouse. Tennis Elbow Secrets Revealed shows you how the arm and elbow are constructed and where the problem can arise. You’ll learn about the types of movements that can cause tennis elbow and the ways that they can make it worse. Then you’ll learn about the techniques to treat the ailment in order to get you pain free again. You don’t just get tennis elbow from playing tennis! The remainder of the Tennis Elbow Secrets Revealed book is to help you avoid getting tennis elbow again, and that’s important, because whatever it is that you did to bring it about the first time is likely something you’re continuing to do. The way to keep it from coming back, says the author, is to engage in specific exercises that are designed to strengthen the elbow. 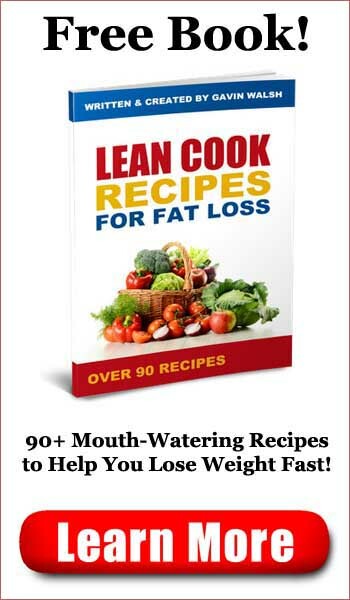 These exercises take up the majority of the book, but they’re well explained and easy to follow. 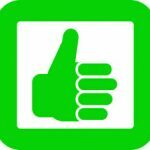 As a bonus, some of them are featured in online videos that show you how to do them. You likely won’t need the videos, however, as the book makes it pretty clear what you need to be doing. 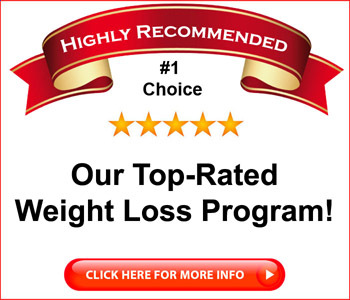 None of the exercises are particularly difficult, none of them require any special equipment, and none of them take more than a few minutes to do. There are a series of stretching exercises that you need to do before you get started, and then you can follow Geoff’s 7 Simple Steps to keep your tennis elbow away. The photographs included in the exercise sections of the book are in color and are well done, so you’ll be able to easily follow along. All in all, the Tennis Elbow Secrets Revealed book is well-written, provides a good overview of the problem and offers a solid, no-nonsense approach to treating your tennis elbow yourself. Of course, if you have any medical condition, it’s advisable to consult with a doctor before trying any do it yourself treatment, just to be on the safe side. If you suffer from tennis elbow, you have my sympathy. It’s a painful condition that can last a long time without treatment, and event the treatment can be painful if you’re getting cortisone shots. Tennis Elbow Secrets Revealed offers a good alternative for people who might want to go the do it yourself route. The Tennis Elbow Secrets Revealed book is well-written, offers some good advice for avoiding the problem altogether and some great exercises for helping you keep the problem of tennis elbow away should you be unfortunate enough to encounter it. The R.I.C.E. advice is time-tested, and over all, Tennis Elbow Secrets Revealed is a pretty good book. Tennis Elbow Secrets Revealed is highly recommended.